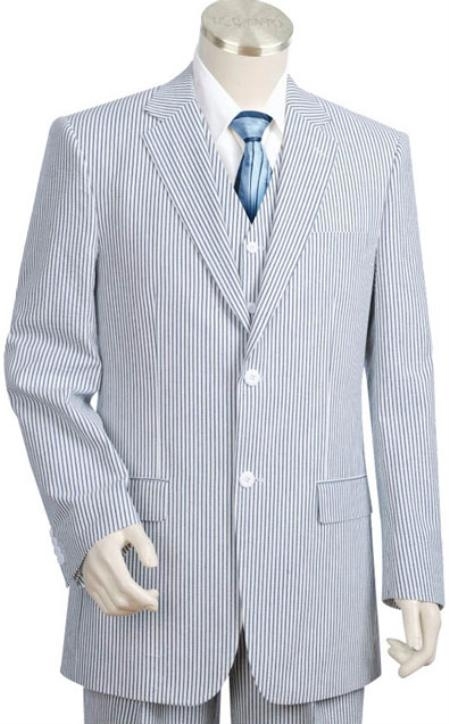 When you have a few special kinds of suits for summer season, we can find a few seersucker suits among them for sure. A seersucker suit is a life saver when it comes to hot weather that is ready to drink out energy out every time we step out. We all love to enjoy the summer season more than winter but the only problem in enjoying summer is the sweaty clothes and tired day. You can enjoy the whole day out with your friends and loves ones unlike winter that will shut you indoors for most of the time. You hardly get a chance to let yourself free on a winter day while you can bounce out every time on a sunny day. Seersucker suits are the best companion for men who love sporty wear that reflects a little bit of professionalism occasionally when needed. You might have called for business trip to a tropical country that demands you to dress light and at the same time you will have to dress up in a suit to meet an important person regarding your business. Anything that you wear should reflect your professional approach and at the same time should be capable of keeping you cool through the whole day or at least until your get over with your job. We can call seersucker suits as your best friend for a situation like this as it is good enough to absorb your sweat, keep you cool and at the same time make you look smart for the day. 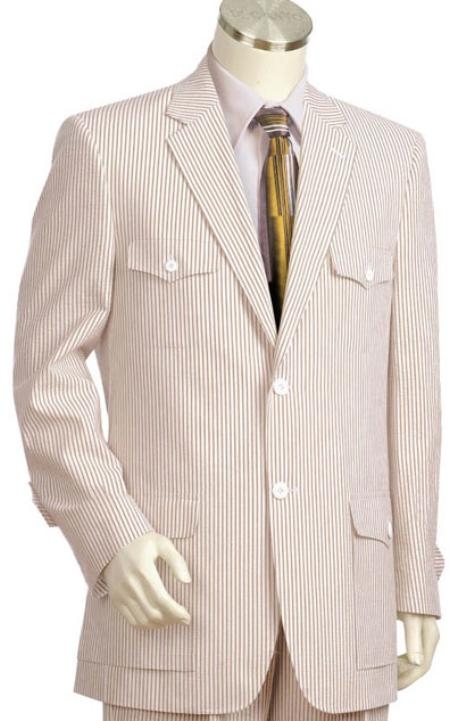 The specialty of a seersucker suit is that it need not be pressed forever and this is kind of a life saver when you are in a place where you cannot get instant help or will have enough time to press your suit.